ACL are committed to protecting your privacy and security. ACL believe it is important for you to know what information ACL collect and how ACL treat the information you share with us. This policy will explain how your personal information will be treated. “Personal Information” (“personal data”) includes your name, physical address, e-mail address(es), telephone numbers and other similar information that you provide to us. ACL may also collect financial information (payment information such as credit/debit card details. You can decide not to receive communications from us or change how ACL contact you at any time. ACL will never sell your personal data and will only ever share it with organisations ACL work with where necessary and if its privacy and security are guaranteed. ACL do not normally collect or store sensitive personal data (such as information relating to health, beliefs or political affiliation). However there are some situations where this will occur (e.g. if you volunteer with us or if you have an accident on our premises). If this does occur, ACL take extra care to ensure your privacy rights are protected. If an accident or incident occurs on our property, involving one of our staff then ACL will keep a record of this (which may include personal data and sensitive personal data). In any event, ACL will only use your information for the purpose or purposes it was collected for (or else for closely related purposes). ACL will never sell your personal data. 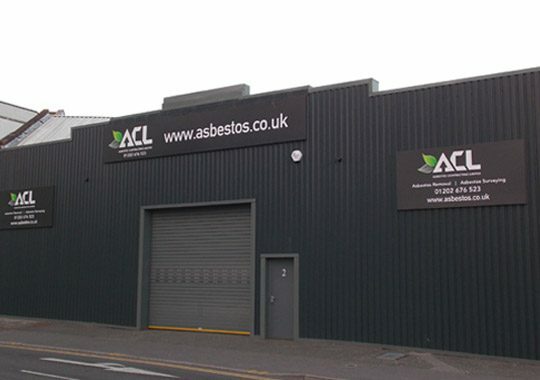 ACL will not normally disclose your Personal Information to anyone outside of Asbestos Contracting Limited unless (a) you provide your consent; (b) ACL are required to do so by law; (c) ACL sell or buy any business or assets; (d) if all, or substantially all, of our assets are acquired by a third party. Occasionally, where ACL partner with other organisations, ACL may also share information with them ACL will only share information when necessary. While ACL will do their best to protect your personal data, ACL cannot guarantee the security of your data transmitted to our channels; any transmission is at your own risk. Once ACL have received your information, ACL will use strict procedures and security features to try to prevent unauthorised access. ACL will only use and store information for so long as it is required for the purposes it was collected for. How long information will be stored for depends on the information in question and what it is being used for. ACL continually review what information ACL hold and delete what is no longer required. Version 1 Reviewed May 2018.